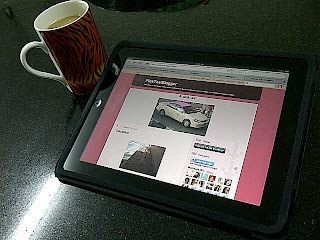 PinkTaxiBlogger: Why do you read the Pinktaxiblogger? 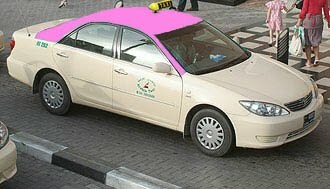 The first reason friends and family log onto the Pinktaxiblogger is because I encourage them to. I push them to read. I inform them of the subject. I quizz them about the reading. Its called pressure. But why do you readers log on with some frequency? Why do you read a blog that is about nothing but...me? I once wondered who my readers were. I know a few very well, am acquainted with others, some write comments, others surprise me casually when they say they read me! How could I not write without an audience? For an audience? It would be like acting on in an empty theater. Family members log on for family reasons: the first one being pressure. What if they didn't? What if my dad didn't comment? The distant relatives, the ones in Beyrouth and the ones in San Diego read it to "keep in touch", to discover what is happening to the family in extraordinary Dubai. I would think that readers log on for mere curiosity, something called "fozooli", in Farsi. Curiosity can be a good thing: what is she up to today? But some, especially those who like me less, who "don't even talk to me", want to know for pure "fozooli". I would like to imagine that some subject matters are interesting to some: what is happening on the art scene, what independent movies have I recommended, what tips do I have in golf, what happened at bikram. Do I entertain my readers with my graffiti writing? Is that why they take the precious time to log on and read? When does the idea dawn on you, dear readers? are you sitting with your ipads, in an idle time? Are you at your desks, taking a break? Are you waiting in line at the supermarket with your blackberry and you decide to log on? Are you googling Lara Baladi? Ballet lessons in Dubai? Protein shakes? Sandance at Atlantis? Canvas Magazine Covers? Cold Play? Geneva Parks? Kettle bells? Jonathan Franzen? Rediscovering Beyrouth? Desormais? Showers? Bridges? Venet? Bikram golf? Question still left unanswered: why do you log on? I don't read Gweneth Paltrow's blog, despite the interest, curiosity and search for entertainment. I read because I love you like a love song baby,and I keep hitting rep-pea-pea-peat!!! You are unique, and you are my only sister, that I love and well....I used to edit your blog. I miss those days because it pushed me to read you regularly. Life does get busy for all of us, for various reasons, and I sometimes go weeks without being able to go on to your blog.